Watch as street interviewer extraordinaire Ron Cecchetti asks some positive thinkers at the Hillcrest Farmers Market in San Diego, Ca ‘What are your ideas for world peace?’. 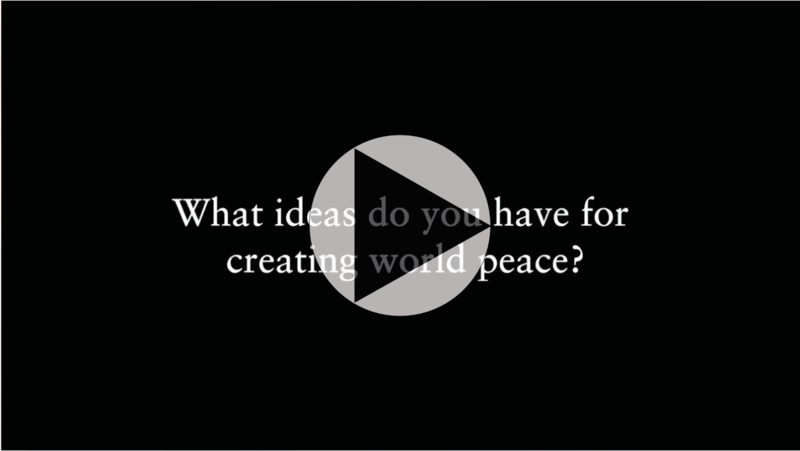 >>RON CECCHETTI: What ideas do you have for creating world peace? >>RESPONDER 1: For creating world peace I think that people should just care about each other. >>RESPONDER 2: I work on trying to reduce air pollution but I don’t see that directly contributing to peace. World peace… treating people very equally. So that they don’t… so that there’s not a lot of tension between like haves and not haves and people who have a lot and not. So, it balances everything. >>RESPONDER 2: Otherwise, world peace… ideas to reduce pollution… Oh! Greenhouse gas emissions. To reduce that. Because if you have a lot of emissions it might displace people because their islands are becoming under water and then they’ll need to move and there can be conflict with that. >>RON: So, what ideas do you have for creating world peace? >>RESPONDER 3: International pen pals. >>RON: That’s a really good idea. >>RESPONDER 3: Right? It’s already a thing though I found out. Russia tried doing it with America. >>RESPONDER 4: Again, to understand the other side. Try to compromise and respect. >>RESPONDER 5: It all begins within you. So I think as long as you’re taking care of yourself then you’re doing your part, you’re doing your duty, and you’re being gentle and kind and have good intentions. I think that’s like the first step, is being aware of what you can do for yourself. >>RESPONDER 6: To not be so easily offended by every little thing. >>RON: Ok, what ideas do you have for creating world peace? >>RESPONDER 7: First and foremost, compassion for every human being on the planet, independent thinking, and accountability. 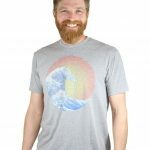 >>RESPONDER 8: Ideas for world peace… I would suggest, first and foremost, that everyone have some sort of inner exercise that they do every day. Some sort of grounding meditation because change starts with you first. What are your ideas for world peace? Or consider, if you could waive a magic wand and change one thing, then what would it be to advance peace on earth? Leave a comment below to share your thoughts on how to create world peace. Street Interviews: What are your favorite things about humanity?